Can we also use SPO domain acceleration for bypassing the username part (instead of ‘smartlink’ ? Also an idea when S4B Will support modern auth? I have no idea what “SPO domain acceleration” is (I’m a former Exchange consultant, never worked with SharePoint) but I’m always willing to learn so if you can explain a bit more, then please. S4B does support modern authentication as in ADFS, but not for PTA, and I’m disappointed it does not. I expect it to be supported anytime soon, but let me ask. Anyways, i’m also an Exchange consultant but these days with Office 365 we have to broaden our knowledge. 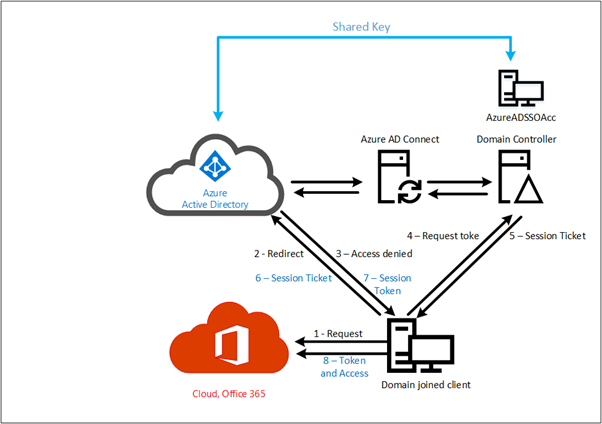 SPO Domain Acceleration is described here -> https://support.office.com/en-us/article/Enable-or-disable-auto-acceleration-for-your-SharePoint-Online-tenancy-74985ebf-39e1-4c59-a74a-dcdfd678ef83 , it is a kind of where are you from (domain) principle for ADFS, works like a charm for SPO and the default portal.office.com URL. I have your blog in my fav so will see when S4B supports PTA then! I’ll make a note about SPO Domain Acceleration, thanks. Hi Jaap, Sorry has been a busy Exchange 2013 Hybrid week and some Intune projects. But I work for one of the “better” IT companies in The Netherlands (no not inspark) 😉 You don’t know me so or my name 🙂 just a regular reader/poster. First, you mentioned that Lync/Skype for Business is not supported with PTA. However, this article is from 2017. Any ideas, if skype for business is not supported or its still a No. 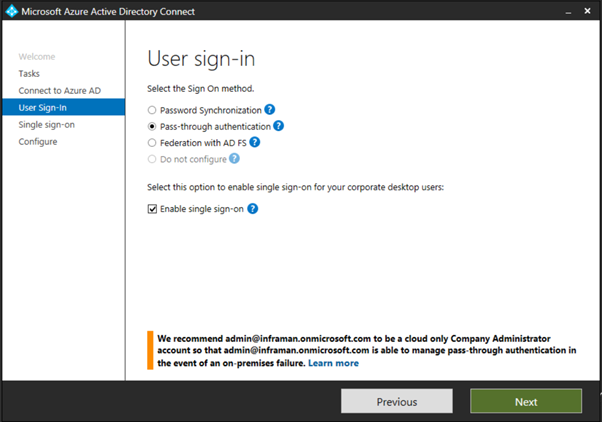 Secondly, we use Office applications including Outlook via O365 in the domain environment. 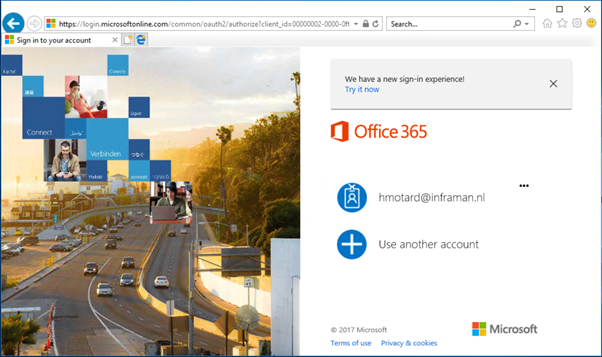 When the password for the user is changed every n number of weeks, they have to enter the new password in outlook, skype for business etc (we use password sync). How does this behaviour changes when PTA is deployed? Customer has a On-prem domain with AD Connect (option PTA on) running, users are synced with Azure AD. Now i am building a new environment with a complete new AD Forest. Can I use PTA in the new AD forest without installing AD connect until migration for test purpose? In the new AD forest I need to install a netscaler access gateway with the Azure NPS extension for MFA but I don’t know if its possible without AD connect in the new forest to test MFA. Do you have any idea’s about this scenario? I’m afraid this wouldn’t work since requests are redirect to the existing forest, based on information from Azure AD. It’s not possible to use multiple forests for authentication purposes (I get similar questions regarding ADFS).